Day 2 in Joshua Tree National Park. Today Ann and I climbed Ryan Mountain, which is only 1.5 miles, but you gain 1100 feet, so it's quite a workout. From the top, you get absolutely amazing views all around you, including this one. 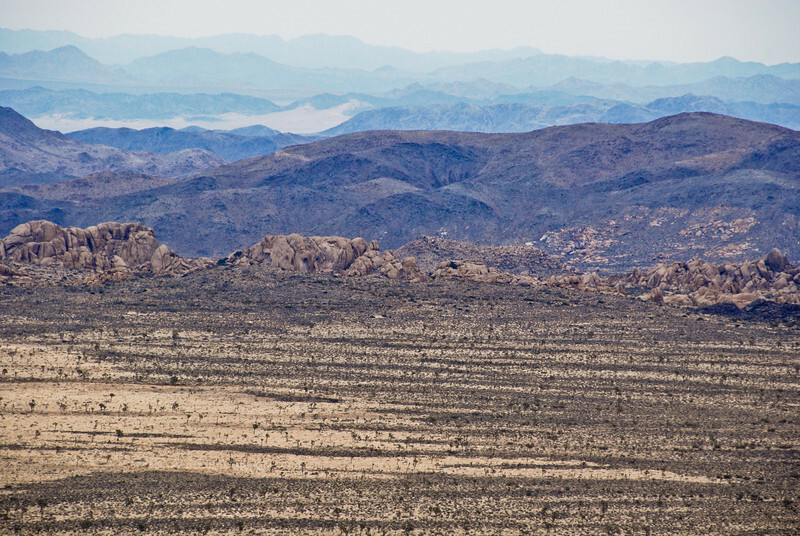 In the foreground is Queen Valley, and you can see all of the Joshua Trees dotting the landscape. This was one of my favorite areas of the park, it really feels like you're in another world. I also like this view because of the graduated visibility of the mountains in the background. That is stark! Great shot! Totally awesome and such beautiful details! Am looking forward to your Joshua Tree post - I concidentaly posted a Joshua tree photo today that I took there last year.